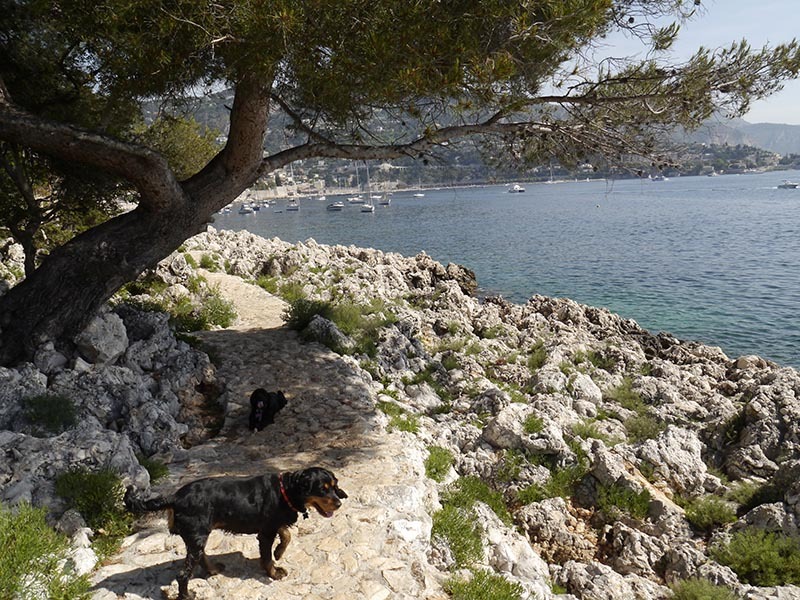 The best way to uncover the beauty of the Côté d'Azur is to take a stroll on one of its many scenic coastal paths. 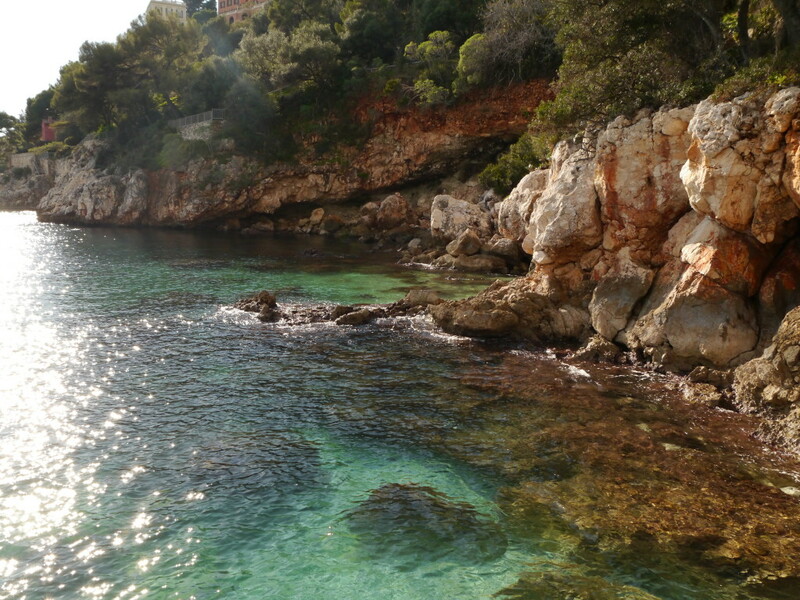 From these waterfront walkways you can take in the varied colours of the sea, the diverse flora and fauna, the opulent waterfront villas and the yachts swaying on the Riviera’s gentle waves. 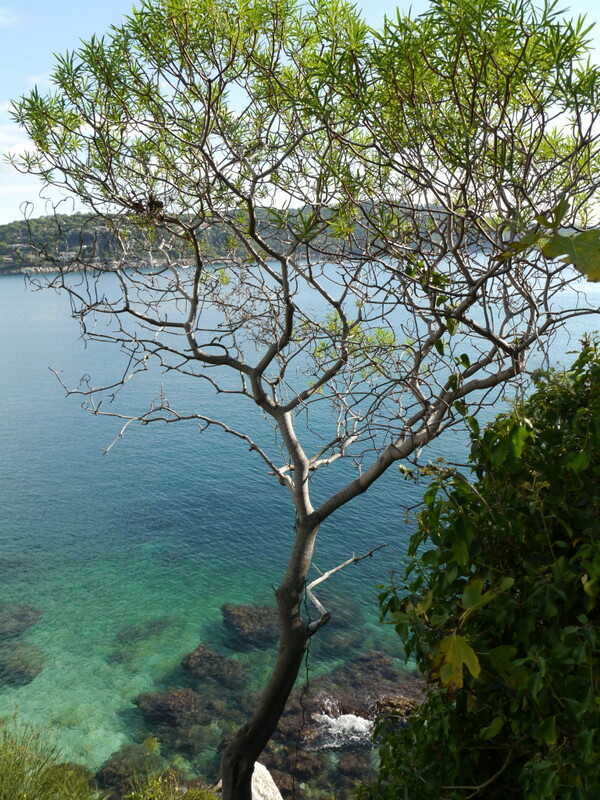 A favorite coastal path in Nice is the walk to Villefranche, the next village after Nice-Est heading towards Monaco. 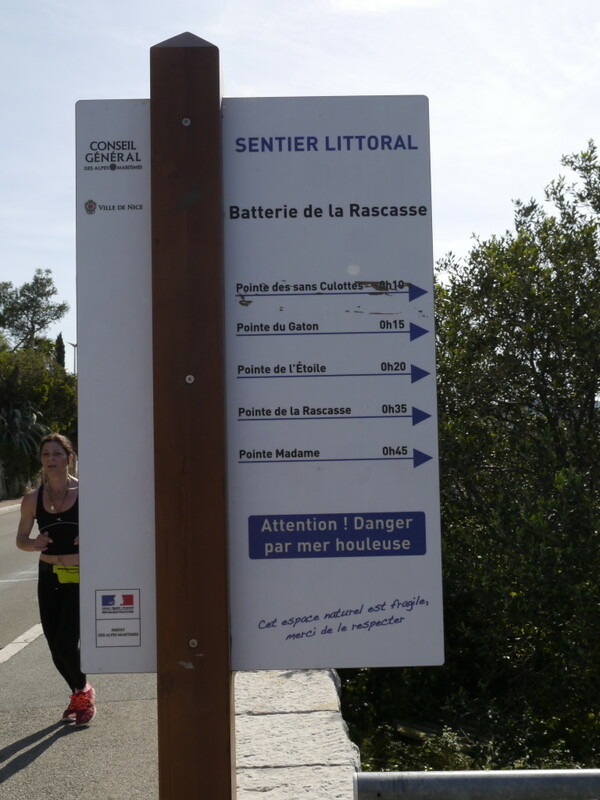 On this path, you can walk the whole way to Villefranche more or less at sea-level. And the views are downright other-worldly! 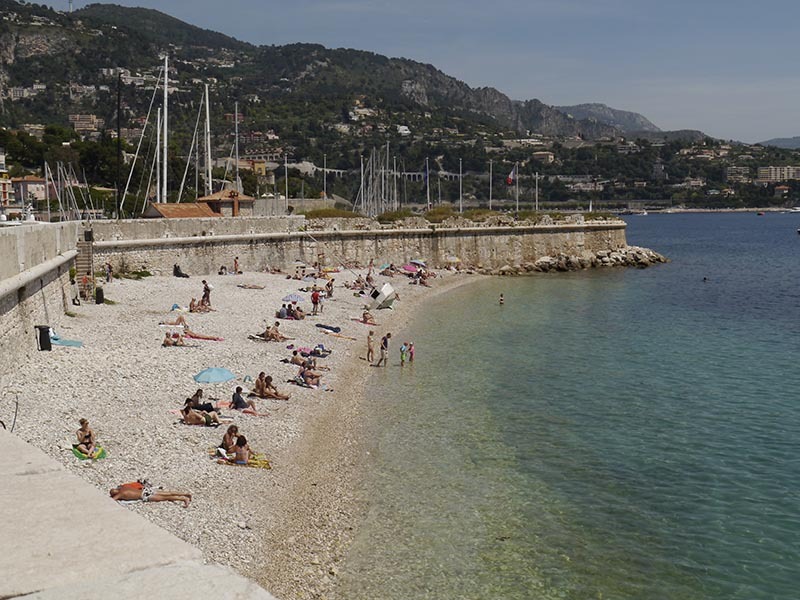 Here you will find public showers and smaller pebbles that make it a more comfortable beach for sunning. 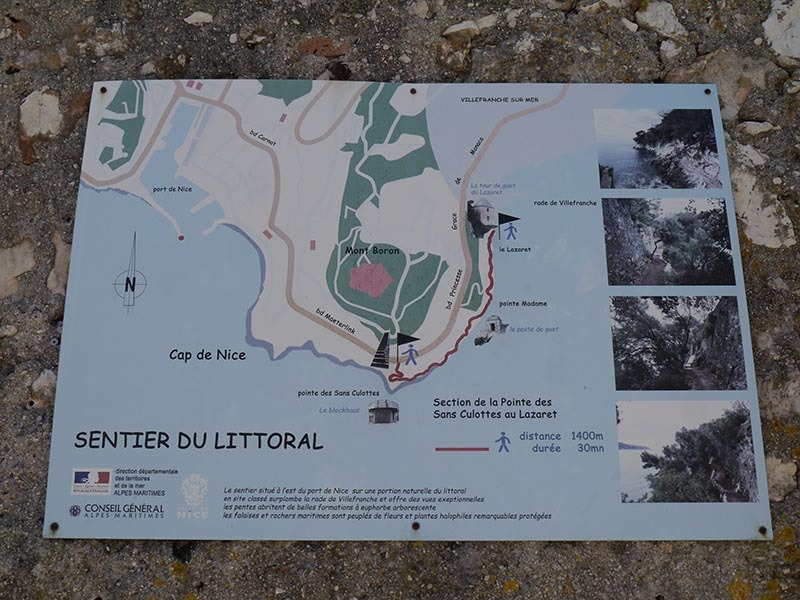 Continue along the path and you'll reach the port of Villefranche, followed by the Fort of Villefranche and the picturesque Oldtown. Actually, it's difficult to say! It depends on your fitness level, walking speed, how often you pause to take pictures or observe the serene waterfront landscape dotted with canoes, fisherman and divers. In general, first-time walkers should set aside one hour to complete the path. More experienced trekkers can probably complete the path in about 45 minutes. Signposts all along the way let you know the distance remaining to each of the 5 points that mark the path. Sneakers/sports shoes are necessary for this path, as it is rugged in spots and also includes some high stairs. But the views are very much worth the climb! 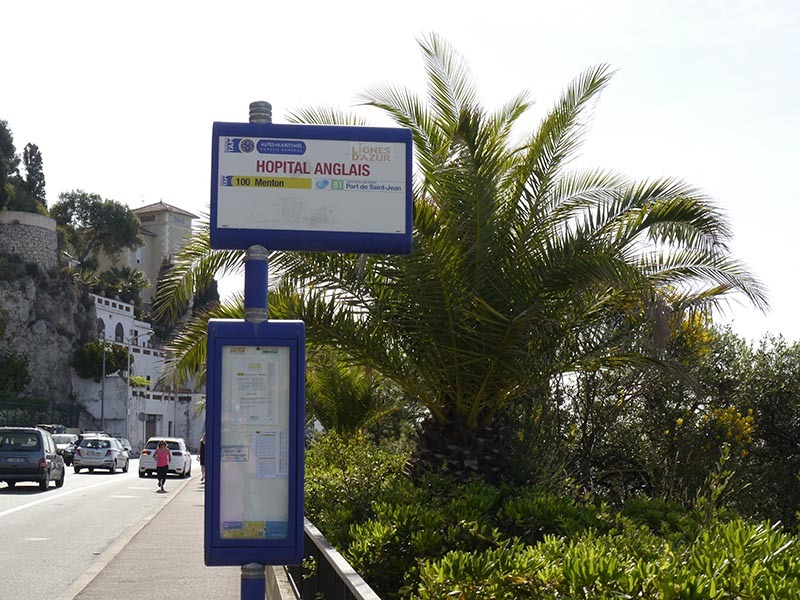 Unfortunately, there are no restrooms located on the walk [a common problem in France and Nice]. 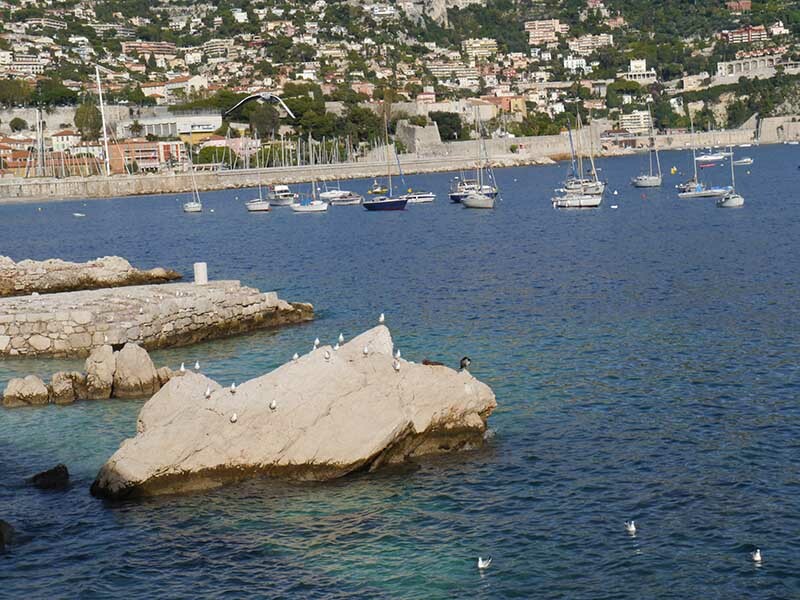 The first one is a very clean, free public restroom at the port of Villefranche, at the left side across from the little café at the Port. There are also no eating or drinking opportunities on the path, so be sure to bring some snacks and water for your walk. When you reach Oldtown, you will be rewarded with your choice of cafés, bars and restaurants along the shore! From there, a set of steps will bring you to the path. Now, just follow it for as long (or as little) as you like. There are no intersecting paths, so it’s unlikely you’ll get lost. When you return to the apartment, don't forget to upload and share your spectacular photos!